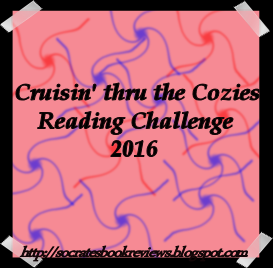 As I have for the last three or four years, I’m signing up for the Cruisin’ Thru the Cozies Reading Challenge 2016 hosted by Yvonne at Socrates’ Book Reviews. I know I said I’m cutting back on challenges this year, but I’ve done this one for several years now, and I always enjoy it. It’s a low-pressure challenge, and I’ve even dialed my goal back this year. I’ll be going for the Super Sleuth level: 13-20 books. Yvonne leaves the interpretation of “cozy” up to the reader/reviewer, and there’s no monthly check-in, just a single page where you sign up and leave your reviews. (Be careful to add reviews to the review linky, not the sign-up linky.) She makes it so easy, I have every confidence that I can complete this challenge! Actually, half the fun for me is reading other people’s reviews and discovering new mystery authors. That’s partly how I became interested in Tasha Alexander over the last few years. So if you like cozies or just mysteries in general, why not join the challenge? Good luck with this challenge! 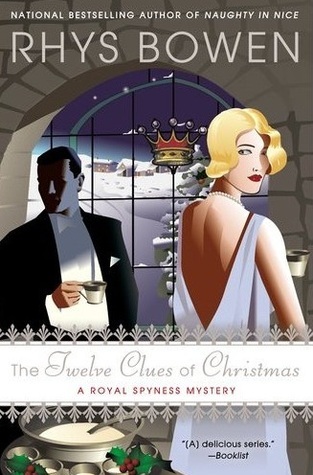 I enjoy cozies, although admit I tend to read other types of mysteries more often.